When you're doing up your house, there are a hundred places to look for inspiration. Magazines, blogs, Pinterest, Instagram, your grandma's flat. But it's testament to an amazing eye and brilliant style to make interior design your full time job. Which is why when it comes to Jordan and Russell, AKA the 2 Lovely Gays (that's not me being flippant, that's their registered business name), you'll find their work across all those inspirational outlets (including grandma's flat!). Both Jordan and Russell were actors once upon a time, across the West End, TV and commercials. They were asked one day to design the interior of a hotel that Russell's father had bought and that pretty much launched their interiors business. They become so focussed on bringing the drama to interiors rather than the stage that they decided to stop acting and dedicate all their time to their new venture. And thank god they did! Soon after deciding to go full time as the 2LGs (that was the end of their postcode incidentally), Jordan was scouted for the BBC2 show The Great Interior Design Challenge. Being savvy businessmen, they made a conscious decision to redo their website and to position themselves as a design team before the show aired. They timed it right... they went on to attract lots of new business. From a large family home in Surrey to a small flat in Waterloo, their projects range in size and scale, but one thing is perfectly clear - you know a 2LG Studio job from a mile off thanks to their signature aesthetic of bold colours, chic investment pieces and whimsical ideas. 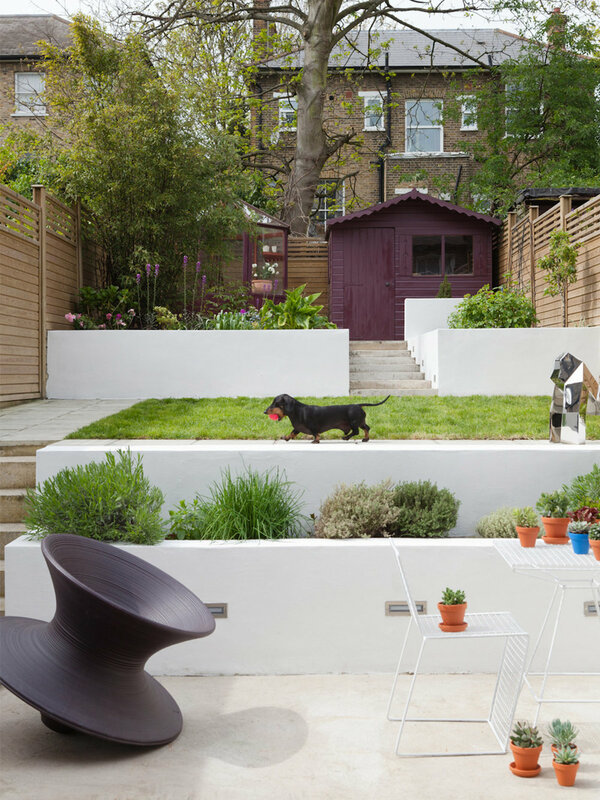 They live in South London with their gorgeous little miniature Dachshund, Buckley, who is an Instagram star in his own right (follow him here). Scroll on to see more of their amazing home and to hear all about Buckley! On life with Buckley: Buckley has his own vintage armchair in our studio and he sits with us while we work, occasionally leaping up to go and shout at the postman. But generally that is where you will find him on a weekday. Once it gets to a certain time in the day he gets off his chair and goes into our living room (our studio is a separate space in our home) and lets us know that it's time for us to relax with him or play with his ball. He is a huge part of our life and we love him so much. Can't imagine life without him as he is such a major part of our team. There is nothing better than giving him a cuddle at the end of a long working day. On work: 2LG Studio is our interior design company and we started it about five years ago (can't believe it's been that long!). Based in South East london, we work on mainly residential projects and creative consultation as well as product design - we are about to launch our second wallpaper collection for Graham and Brown! 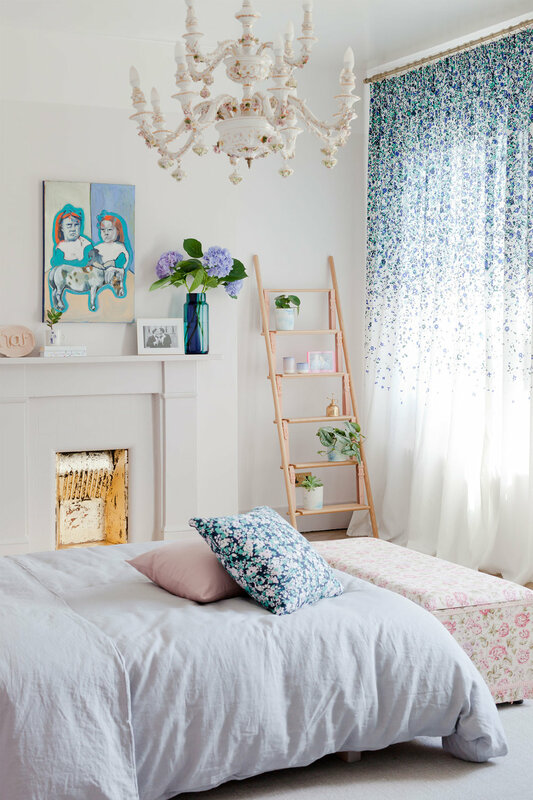 Having had our first careers as actors, working in the West End and on TV, we started a small home accessories and textiles business selling our own designs and screenprints on the side and it eventually grew into full interiors. We got to the point where we had to make a choice because we were both working successfully as actors, doing eight shows a week and filming commercials and we were also taking on new interiors projects as well as renovating our first house together. Something had to give, so we called our agents and told them that we weren't acting anymore and threw ourselves into design. It was a bold moment in our lives, but one that has given us a lot of joy. 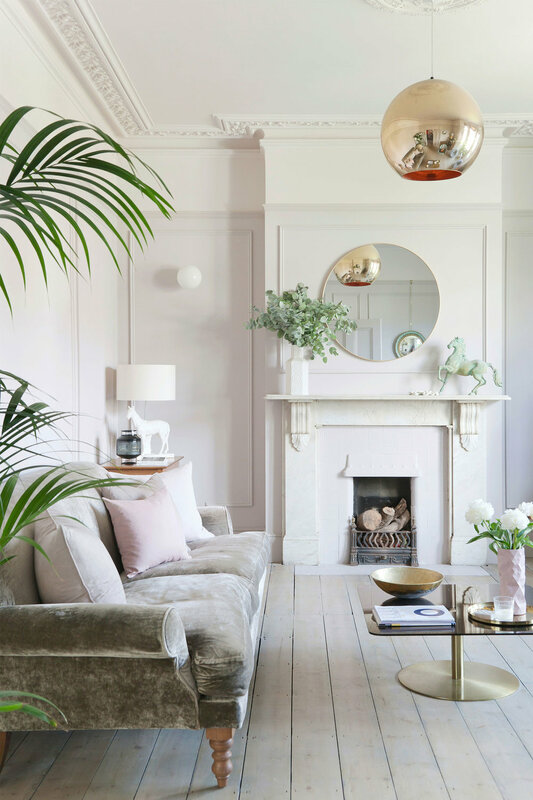 Our latest project was featured in Elle Decoration and we now have an award winning design blog, so we are v grateful that the leap of faith worked out. It's very hard sometimes, can be heart breaking in fact, but we have got grit and we are determined. When one of us feels like we can't carry on the other one keeps pushing forward. We push each other, perhaps too hard sometimes, but we love it so at least we know we are building something that is meaningful to us. On interior design: The role of interior designer has to be without ego. You are there to service the needs of your clients and to take them out of their comfort zone into places they didn't perhaps expect. Creatively you are the facilitator and they are always the inspiration. It is not about you. We try to always get into the shoes of our clients and design homes that reflect the best version of them. That is why all of our projects are so different. There are through lines in our work of course, but they all have very different bones and personalities. Communication is key to getting there. On career plan B: I suppose we don't like to think plan a or plan b career wise. Just as we don't think sexuality or gender are binary. Life is best when it's a mix of all different things. Some days we are writing, others we are designing, or editing photos or going on site visits or working on models for products. I suppose you might say that interior design was a plan B, as we worked as actors for the first 10 years of our professional lives, but it doesn't feel like that. More like a natural progression. Different set of skills, but still creative. We haven't ruled out the possibility of a return to the screen either. We try to remain open and inquisitive and do what feels right at the time, even if it is completely new to us. On career advice: Go for it because if you don't do it, someone else will. We once got asked at an interiors event, "what made you think that you could set up your own business and start doing interiors projects?" and that has stayed with us. At the time we were dumbfounded, but should have said, "what makes you think you can't?". It helps that we are in it together as we are braver as a unit. But the most important thing is to begin. There is no such thing as an overnight success. We have been chipping away at this block for nearly ten years and some of the rewards we now see have come from relationships we began building right back at the beginning. So dig deep, find your grit when the chips are down, keep going. Success is about resillience as much as it is about skill or talent or creativity. Also, and perhaps most importantly, be nice. There are far too many bad things going on in the world, more and more we just want to work with nice people and if we meet people who aren't we just don't work with them because life is too short. "We work really hard and we try to be the best we can be, always trying to over deliver and push further." On their daily routine: We get up at around 7:30am and let Buckley out into the garden. Then we have a cup of hot water with lemon. Then make Buckley, and ourselves, some breakfast. We often do some work on social media first thing over a coffee so that we can put a post or two out and then get on with our client work. Mornings are often about emails and then meetings and design work in the afternoon after a homemade vegan lunch (we have been vegan for for 9-10 months now and are never going back). For us lunch is really important as it resets the day and you can approach the afternoon afresh. Conference calls often happen in the afternoon too and we regularly have recce's at the house as we run it as a location. This is a typical studio day, probably 3-4 days a week and then we have events, press shows etc to fit in and this all feeds into the blog side of our business. Typically we also have one shoot day a week (photo shoots for clients as creatives, or shooting our own projects) and we also have two or three site visits a week but these often take place on weekends. New client meetings also slot in in evenings and weekends. We work all the time but are getting better at keeping Sundays free and almost always take Buck for a big walk in the local park followed by brunch. Buckley is with us most of the time as we work from home and he comes to shoots too. On the best piece of advice they've been given: Look after each other. That is a piece of advice we got on our wedding day and it has got us through some really difficult times. We work really hard and we try to be the best we can be, always trying to over deliver and push further. So it's easy to lose sight of each other and take friends and family for granted. Ultimately the best things in life are about the relationships you have and we try to remember that. We are not perfect at it but it is important not to lose sight of why you begin something. We started this business because we love designing and creating beautiful space, but also because we love spending time together and finding a deeper understanding. Buckley is very good at reminding us to stop and smell the roses. Maybe everyone should give a dog a place in their family. On their favourite Buckley 'tail': We love the way he wakes us up in the morning. He often sleeps under our duvet between us and in the morning he comes out from under there to sleep on our pillows with us. Then he gives us a scratch with his paw to wake us and get us up. It is the best way to wake up. He is always happy to start the day. On their favourite things to do in London: We love going to the opera house or the national theatre or the tate. But equally, a walk in the park with Buckley is the perfect way to spend a sunday. One thing people should know about them: Russell loves to cook and Jordan loves shoes.